About Tom L. Message Tom L.
This was a great tour I rated it a 5 star event Tom was waiting for us on the dock. He keep us a head of cruise ship tours so we saw the main attractions with minimum growds. The highlight of the tour was going to his town and having lunch at a local restaurant followed by a drive round the town and a visit to the Taoist Temple where we burnt money to ask favors from the Gods. Tom then bought for all of us the local delicacy a Red bean cake. Tom was very knowledgeable about Taiwan. Thanks Tom. Tom was outstanding! Very accomodating with my 2 young children and how chaotic life is with them traveling. He was patient and flexible. Curated sights that best represented his homeland and suits our needs. Highly recommend Tom as a guide. Also, it must be mentioned, his driving skills are out of this world. Manuvering tight one way alley ways with ease. He rich life experience made him so knowledgable and fascinating to talk to. His fluent English, Mandrain and Taiwanese were a def advantage. Competent and responsible guide. Nice person. Ultimately recommended. Tom was great. He customized our tour for the time we had in port, and did a wonderful job or organizing it 'on the fly' to avoid the crowds and maximize our enjoyment of the Park. He spoke fluent English and knew the Park, its trails and flora well. He was also an excellent driver. which is truly appreciated in the Park and on the Coastal Road. We recommend Tom without reservation and would use him again if we ever return to Taiwan. Wonderful personality. Excellent English. Very willing to adjust the tour as we requested. His itinerary was excellent. Perfect amount of information provided. Had a great time with Tom. Kaohsiung is not a thrilling city. Not much to see there. The only nice place is the harbour-area where old building have new stores in it. Tom is a polite tour guide but you have to keep questioning him about Kaohsiung to get info out of him. Most of the time he's driving us to a new location and turn us loose for an hour or two on our own. Generally the tour was good but it could have been better. Tom was outstanding. He got us there before the crowds and showed us places that are not accessible to large groups. His knowledge of history and culture are impressive. Highly recommended. TOUR GUIDE RESPONSE: Thanks James, I had a wonderful time with you, too! Tom L.
Tom did a very nice job. He was flexible and communicative in setting up the half day tour and was responsive to our requests during the tour to do more or less. Trying hard to make amends to look for alternative site for visit when timing and traffic conditions do not allow visit to original venue. Great tour guide! Fun sense of humor! We enjoyed several days touring with him and felt safe and well cared for. If you want to see and experience, the outskirts- national parks, he is the guide to pick. Walked the trails with us and introduced us to local cuisines. Tom was fabulous in every way . He was knowledgeable, accommodating, punctual , flexible , intelligent and a pleasure to be with , We would highly recommend him and give him 10 stars ( out of 5) !! Thank you , Tom for making our 2 days in Taipei thoroughly enjoyable and truly memorable! We have used "ToursByLocals" in at least 20 countries, and Tom was the same high quality guide we expected. He was knowledgeable, sensitive to our needs, and did his very best to make sure we had a good tour. I would highly recommend his services. It was a great day. We were very pleased with the tour provided for us by Tom. He was very thorough and easy to work with. He was very attentive to us and helpful to me with my problems walking and climbing. All our questions were answered and we enjoyed his company. TOUR GUIDE RESPONSE: Thanks Judith, hope we have another chance to see each other in the future. Tom was AWESOME!!! We wanted a more laid back agenda that could accommodate flexibility so we gave him certain things we had found that we thought might be interesting. Ultimately, we incorporated some of those events, added some others and decided against a few. Overall, the day was just great. Worth every dollar!! If you get the chance to book Tom- DO IT! Tom also does a wonderful job of explaining the history of his country and is constantly pointing out and describing cool things. Our family of 5 toured with Tom to Sun Moon Lake and surrounding areas. The experience was simply amazing and I highly recommend Tom as your guide. 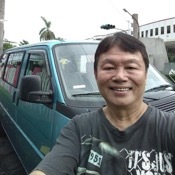 He is very knowledgeable of Taiwan in general with plenty of interesting facts to share at every location, a very safe driver, and is sensitive to the needs of his guests -an all-around perfect Taiwan tour guide! Plus, he is fluent in English and the local languages which I believe made a difference in access and freedom in movement. Tom was enthusiastic and accommodating to all of our requests. The day was built around our specific requirements and included several spontaneous local experiences that our family will not forget. We highly recommend Tom to others traveling to Taiwan. TOUR GUIDE RESPONSE: Dear Paul, it was my pleasure to have served you for your tour in Taiwan, and yes, you and your family were also great companions, same here I'm looking forward to seeing you in the future. TOUR GUIDE RESPONSE: Dear Roz, thank you for your generous rating. Tom is punctual, friendly, knowledgeable, patient, caring and flexible. He organized for us a 4 full days tour from 18 - 21 May 2018 in a way to see the most of Taipei . The depth of knowledge, professionalism and attention to details was beyond excellent. Tom provided great commentary on the places we visited as well as thoughtful insight into the history of Taiwan and the people living there. We learned so much from him and had a truly enjoyable days during our first visit to Taipei . This was an incredible day tour from near the international airport to the magnificent Taroko Gorge. Tom was an extraordinary guide and I will definitely use him when I return to Taiwan - and based in large part on his great tour - and his enthusiasm for other places on his home island that he described but that I did not have time to see - I'll be back. TOUR GUIDE RESPONSE: Dear Marjorie, I will always be here waiting for you!! Tom has been great: careful, patient, flexible. We were traveling with 2 kids (3 yrs / 4 mths), he adjusted the tour to their needs, and was always happy to help. As soon as he understood our interests he modified the tour adding special places such as Moon World and the "Bomb" temple close to Kaohsiung. He cared that we experienced local specialities like sugar apple and betel nuts (...ok, the lastone we didn't dare!). He helped us trying to sort things out with Air China, hotels and train tickets. TOUR GUIDE RESPONSE: Dear Ilaria, thank you so much for your rating, reviewing of the tour and precious suggestions. I love the time being with you and I wish you all the best. Tom L.
Tom was a very thoughtful and attentive guide. My mom who is in her sixties has trouble walking and he made sure that she would need to walk as little as possible. He was always patient and ensured that my parents needs were met. Tom is also very knowledgeable of the history and politics in Taiwan. I learnt a lot from him. His driving is also superb. I would recommend Tom anytime especially for first-time travelers to Taiwan coming from Europe or the US. His English is perfect. We had a private tour, 5 hours, in Taroko with Tom. He was a perfect guide in the gorgeous nature, we also learned a lot of Taiwan's history and soul. Beutiful nature, high mountains and interesting facts about the area and people living there. Perfect for us! TOUR GUIDE RESPONSE: Hi Emilie, I had a good time with you, too. Hope we may see each other again in the future. Tom was very helpful in showing us Taipei in a limited amount of time. Although other guides told me that I didn't have enough time for a tour with my short layover, Tom was able to put together an itinerary that allowed me to see a good number of major sites in only a few hours. Thanks Tom! TOUR GUIDE RESPONSE: Hope we have other chances to see each other in the future. Tom l was an excellent guide. Provided s lot of history and background info on places we visited. Good driver. Pleased with itinerary. Will recommend him to others. Fantastic day in Kaohsiung! He was nice and knowledgeable and personable. I had particularly interesting discussions about the political issues involving Taiwan and China about the state of Taiwan as a country or part of China, and the history of Taiwan. TOUR GUIDE RESPONSE: Hi Alex, thank you for giving me many interesting thoughts while I was showing you my mother land. Your ideas were (and still are) inspiring to me. Hope I can have another chance in the near future to show you "real" Taiwan that emphasizes our own identity. Both my friend and I loved Tom! He was punctual, friendly, knowledgeable, caring and flexible. We had organised the tour somewhat but what we lived about Tom was that after he got to know us more, he made sure to find places that we would love. As we are both into nature and photography, he took time to Take us to different places than where all the tourists were. His knowledge of Taiwan and the world was extensive and he was interesting to talk to. We will recommend Tom to our friends for sure! TOUR GUIDE RESPONSE: Hi! Marie and Lisa! I will cherish the time being with forever. Hope we see each other in the near future. Excellent guide. Since I wanted a tour of Kinmen, which is outside his usual area, he put special effort into researching and preparing (including going there a day in advance to dry run the tour). Then the tour in Kaohsiung was OK, but serious rain impacted ability to have a special tour. TOUR GUIDE RESPONSE: It was my pleasure to guide your tour in Kinmen, and yes the rain in Kaohsiung spoiled something, hope I can somewhat make up for you in the future. 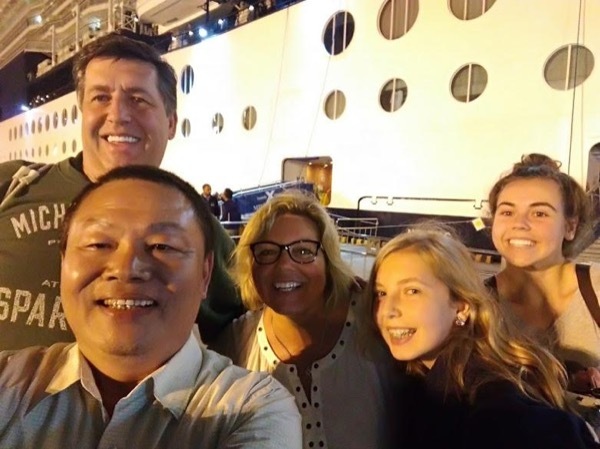 My family and I had a great experience in Taiwan with Tom L. Tom provided excellent customer service and was very cooperative / flexible and accommodating to our family, which included teenage children and a 78 yr old senior. He went out of his way to show us the highlights of northern Taiwan, especially the Hualien / Taroko Gorge area, which had roads damaged from recent storms. Thank you, Tom, for a great tour of Taiwan! Tom knocked himself out for the 5 of us. Fascinating day with an interesting guide who has immense knowledge about Taiwan after 400 years of family history here. His English is excellent, his driving as well. We did much of Taroko Gorge and also much of the coast drive south of Hualien. He even offered to take us to the Night Market in town but by then we were overwhelmed by all the wonderful sites and scenery we had seen. Highly recommended. TOUR GUIDE RESPONSE: Mr. Lincoln, it was my pleasure to have carried out your tour. Thank you for your full stars rating and kind recommendation. Thank you. We toured with Tom's two sons, Michael and Kevin. We had a wonderful day looking at kaohshing through the eyes of two young men. One a college graduate and serving his country for 4 years as a Marine and the other a student and musician. We had a walking tour and got a real feel for the people. Nancy and I would recommend these two young men highly. Oh yes their English is perfect. TOUR GUIDE RESPONSE: I'm so happy that my boys didn't disappoint you. They keep talking about you and Nancy, hahaha, I think they make you their new role models. Kaohsiung is a large city. Tom did a good job getting us to all the major sights and even some out of the way attractions. He gave us our money's worth. Tom was a conscientious and willing guide. The tour to Toroko Gorge was excellent. TOUR GUIDE RESPONSE: It was my pleasure to have accompanied you on the tour in Toroko Gorge.